South Texas Cardiothoracic > Doctors > Surgeon > James R. Garrison, Jr., M.D. About James R. Garrison, Jr., M.D. Dr. James R. Garrison, Jr. earned his B.A. in Biology from University of Texas. 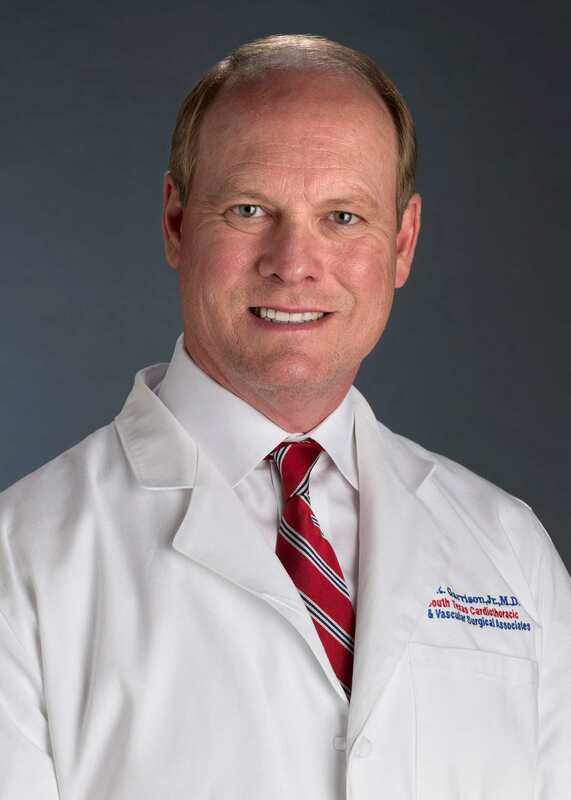 He received his Doctor of Medicine from Texas Tech University School of Medicine in 1990 and completed his internship and residency in General Surgery from the University of Louisville in 1996. Dr. Garrison went on to complete a Fellowship in Cardiothoracic Surgery at the Texas Heart Institute and M.D. Anderson Cancer Center in Houston. Dr. Garrison is Board Certified in Surgery and Thoracic Surgery. He is a member of the Denton A. Cooley Cardiovascular Surgical Society, the Hiram C. Polk Jr. Surgical Society, the American College of Surgeons, the Society of Thoracic Surgeons, the Texas Medical Association and the American Medical Association. Dr. Garrison worked and resided in Abilene, Texas from July, 1998 to February, 2001. There, he was in private practice and was associated with Hendrick Medical Center where he served as the Chairman of the Department of Cardiovascular Surgery. He affiliated with South Texas Cardiothoracic in March, 2001. Dr. Garrison performs cardiac, thoracic, and vascular surgical procedures. He is trained in heart transplantation. Dr. Garrison is married and has three children. His interests include sailing, scuba diving, skiing (water and snow), golf, tennis, music, and the performing arts.